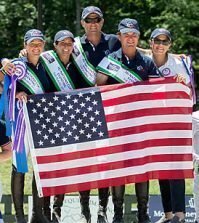 Tryon, NC (June 7, 2017) – Todd Minikus kicked off the 2017 Tryon Summer 1 CSI3* competition with a flurry of blue ribbons for top finishes on a fleet of horses at the Tryon International Equestrian Center in Tryon, North Carolina. 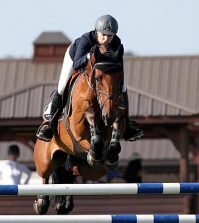 The talented bay mare Juju VDM opened up strong with Minikus at the helm, coming out on top with a blue ribbon in the Nutrena 1.4 Open Jumper class. 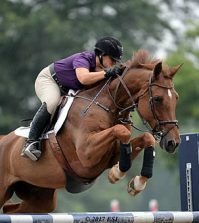 Minikus also scored wins in Asheville BMW Center’s 1.2m Open Jumper class, turning in a sizzling first place ride aboard Mary Jane, owned by Musical Woods LLC, and placing third in the same class on KWPN mare Chablis S, owned by Los Establos SportHorses. Demonstrating why he’s currently ranked second on the United States Hunter Jumper Association’s (USHJA) list of lifetime earners, Minikus added even more to his earnings by picking up additional prize money on Alice Lawaetz’s geldings Sancento and Incitatus, Alex Verlooy’s Carvelo Z, VDL Excel owned by the CoverBoy Group, and Minikus’ own I Dottori VD Richter. Minikus’ horse Exceptional outdid his previous week’s stack of reserve ribbons by cleaning up in the green hunter division, scoring four first place ribbons and some additional cash. 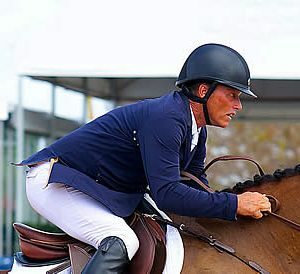 When not on the road competing, FEI Nations Cup veteran and U.S. Pan American Games Team Bronze Medalist Todd Minikus offers sales and training services in his hometown, Wellington, Florida. 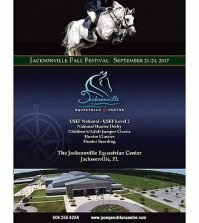 Stay tuned for more triumphs at Tryon and check out where Team Minikus is next by following on Facebook and Instagram @Todd_Minikus, or visit www.ToddMinikusShowJumping.com.